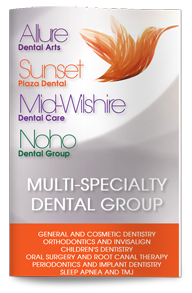 Sunset Plaza Dental is a boutique-style multi-specialty dental practice that offers comprehensive dental care designed to meet all your dental needs in one convenient location. As your Aetna dental insurance dentist in West Hollywood, Dr. Ghasri works with a team of dental experts in order to provide you with the routine, preventative and specialty care you need to have the healthy and beautiful smile you want. Our services include general, endodontic, periodontic, orthodontic, restorative, and cosmetic dentistry. 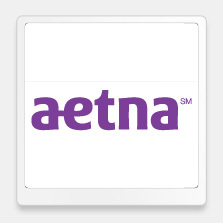 Dr. Ghasri, as your West Hollywood Aetna dental insurance dentist, is dedicated to your oral health. From dental exams and cleanings to advanced treatments and cosmetic procedures, our board-certified dental professionals have the skills and experience you need to treat oral health conditions ranging from simple cavities to impacted teeth and malocclusions. We will provide you with the information you need to make the decisions best for your unique situation, and we carefully coordinate your care so that you can experience consistently high-quality results. As your Aetna dental insurance provider in West Hollywood, Dr. Ghasri offers her patients basic dental cleanings and exams that check for signs of common oral health concerns, such as tooth decay, gum disease, mouth sores and other problems. If you have symptoms of gum disease or other oral health conditions, Dr. Ghasri will present you with your treatment options so that you can make the most fully informed decisions possible. Our dentists offer full-service dental care that includes white fillings, root canals, orthodontics, bridges, dentures, dental implants and crowns, periodontal treatments and more. If you are interested in achieving a more aesthetically pleasing smile, we also offer cosmetic procedures, including teeth whitening, porcelain veneers, Lumineers, Invisalign aligners and smile makeovers. We take your smile very seriously and will work with you to ensure we achieve the best results possible for your oral health and your appearance. Your smile says a lot about you. It can tell people whether you are warm, friendly, confident, or outgoing. If you believe your smile is lacking due to oral health problems or aesthetics, Dr. Ghasri, dentist in West Hollywood, can help. Contact us today to schedule your appointment or to learn more.